Marine justice is presented as a bridging concept and opportunity for scholars, activists, and policy-makers to combine differing methods of knowledge production and communication to promote and deepen justice in an era of global environmental change, sea level rise, overfishing, ocean acidification, and other coastal and marine issues. We open with an exploration of the historical connections between the study of seascapes and the emergence and development of environmental justice. We then discuss five conceptual domains—space, time, knowledge, participation in decision-making, and enforcement—in which attention to marine environments resonates with and expands environmental justice framings. 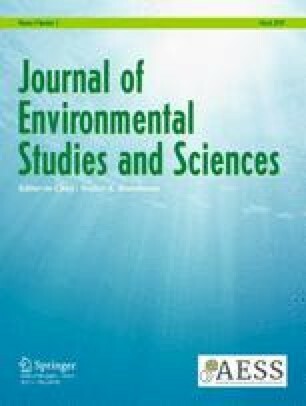 Using a series of examples to illustrate how environmental justice and marine issues converge in scholarship and activism, we argue that this coming-together of concepts creates new avenues for research and inquiry. The Andrew W. Mellon Foundation Sawyer Seminar, The Institute for Social, Behavioral, and Economic Research and The Interdisciplinary Humanities Center at the University of California, Santa Barbara, David Pellow, and all of our seminar visitors. The views expressed in this paper are solely those of the authors and do not necessarily reflect those of the Federal Reserve Bank of Philadelphia or the Federal Reserve System. Any errors or omissions are the responsibility of the authors.